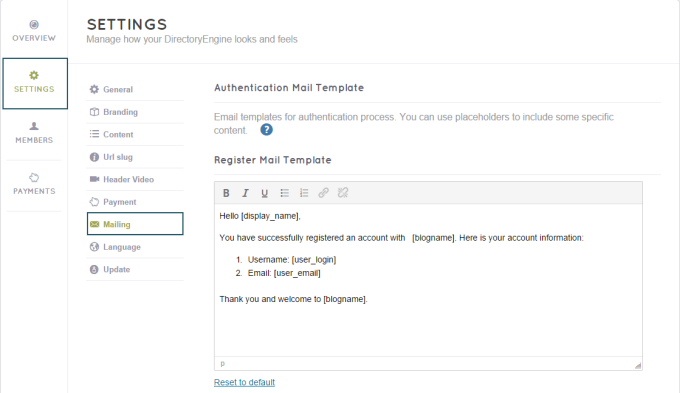 This section allows you to create default emails which will be sent to the users in specific situations. Choose Engine settings > Settings > Mailing. Register mail template: if you disable the option “Email confirmation“ users will receive this email after they complete their registration, this email won’t include the password. 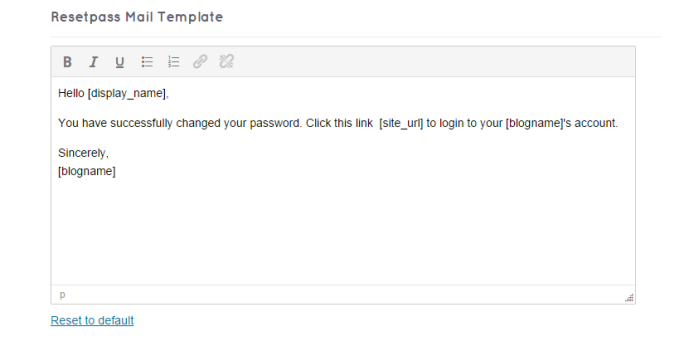 Forgot pass mail template: users will receive this email after they request for a new password in the Forgot Password form. Resetpass mail template: this email will be sent after a user activates the active link to get the new password on his Forgot pass mail. Invite mail template: this email will be sent to the freelancers whenever they are invited to a project. 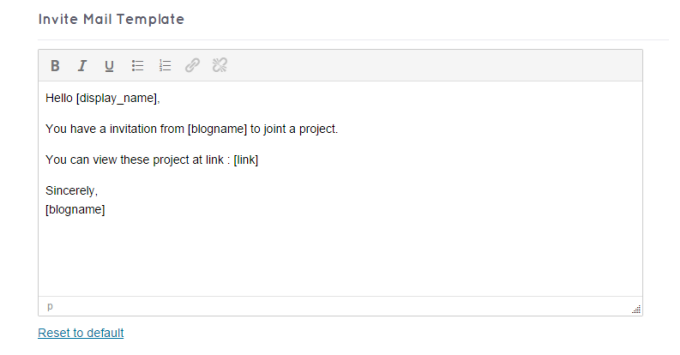 Publish mail template: this email will be sent to a user successfully publish a project. Archive mail template: this email will be sent to the users whenever their projects are archived. Bid mail template: this email will be sent to the project owners whenever there’s a new freelancer bid on the projects. 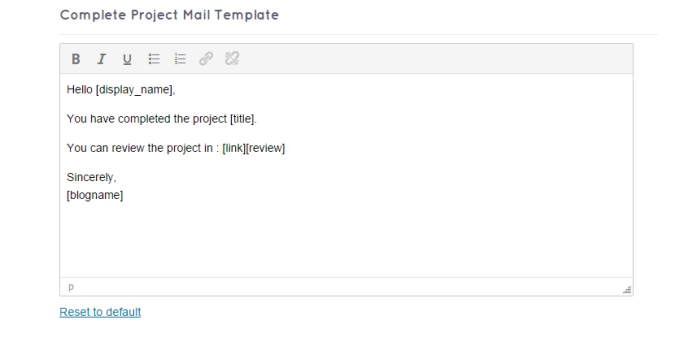 Complete project mail template: this email will be sent to the project owners when their projects are completed. 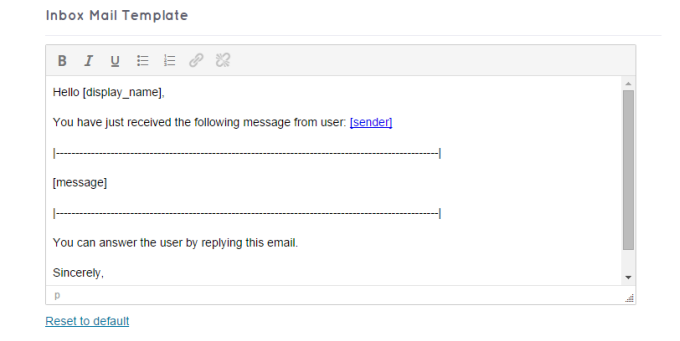 On each email, you can see the *Reset to default* that will help you reset the email content back to our default.